At the dawn of the 20th century, railroad workers were experiencing an alarming rate of personal injury and death. Due to public outcry, Congress passed the Federal Employers’ Liability Act (FELA), in 1908 to protect and compensate railroad workers and their families for both personal injury and wrongful death claims resulting from railroad-related accidents. FELA is a federal statute that now protects railroad workers not only in Tyler, Texas, but also in railroad injury accidents across the nation. As a general matter, FELA provides compensation to railroad workers injured on the job. Unlike general worker’s compensation claims, which are generally “no fault,” FELA establishes a fault-based system in which the injured worker must show that the employer was negligent. 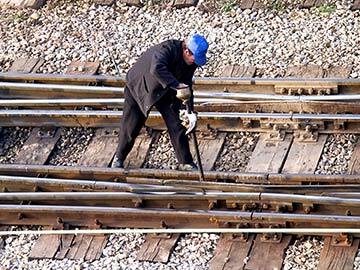 Thus, the injured worker must generally prove that the railroad failed to provide a safe workplace. However, there are special areas in FELA that act like strict liability – for example, where a defective object or condition at the workplace injures someone on the job. Significantly, there is no monetary cap placed on the amount of compensation granted to railroad injury victims under FELA. Tyler railroad injury attorneys and Smith County railroad injury attorneys represent a variety of different railroad workers in Tyler, Texas railroad injury claims, providing them with quality legal services and getting them the compensation they deserve. What types of railroad injury victims can a Tyler Railroad Injury Attorney help? Tyler railroad injuries occur every day, and if you or a loved one has been injured or killed while working for a railroad in any of these capacities, don’t hesitate to contact a Tyler FELA attorney regarding your claim for legal compensation and damages. 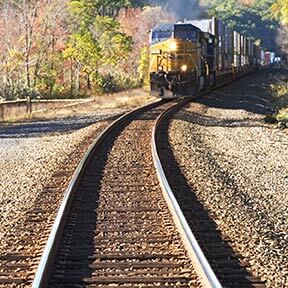 Tyler FELA attorneys and other Smith County FELA attorneys can help you pursue a claim for railroad workers’ compensation if you have been injured in any of these ways. Tyler FELA lawyers can assist injured employees of any Tyler area railway and, notably, can assist injured workers in a lawsuit stemming from a Tyler Union Pacific Railroad injury or Smith County Burlington Northern & Santa Fe (BNSF) railroad injury. What must a Tyler railroad worker prove to maintain a successful FELA action? Call a Tyler FELA lawyer today for help pursuing your claim. Keep in mind that recovery under FELA is granted instead of recovery under Texas state workers’ compensation statutes, and no double recovery is permitted. FELA allows monetary payouts for pain and suffering, decided by juries based on comparative negligence rather than according to a pre-determined benefits schedule, such as that used in ordinary workers’ compensation cases. For more information on personal injury damages generally, visit our Damages page. A Tyler FELA attorney will be able to explain what types of compensation you may be entitled to and get you the maximum recovery possible. Are Tyler and Smith County, Texas, railroad workers eligible for any other type of compensation? The unions have a process of selecting lawyers to be what is called "DLC". If you are hurt, you do not have to employ a DLC union counsel. You should select an attorney that you believe will work hard for you and your family. Sometimes, union members will try to persuade you to employ only DLC. If you like the DLC, then employ them. But if you like a non DLC Tyler. Texas railroad injury attorney, employ them. Just get someone that is a competent and hard working FELA attorney on your side. Recently, the BLE announced that is was no longer going to use the DLC process.